Why does math have to be hard? Make up math games that teach and the child will never know he/she is learning his basic concepts. Math for my 5-year-old Joely is definitely one of those areas that is better learned without pencil in hand. So instead of using a workbook for "doing math," we have often used a set of 100 number tiles that I picked up for next to nothing earlier in the year. 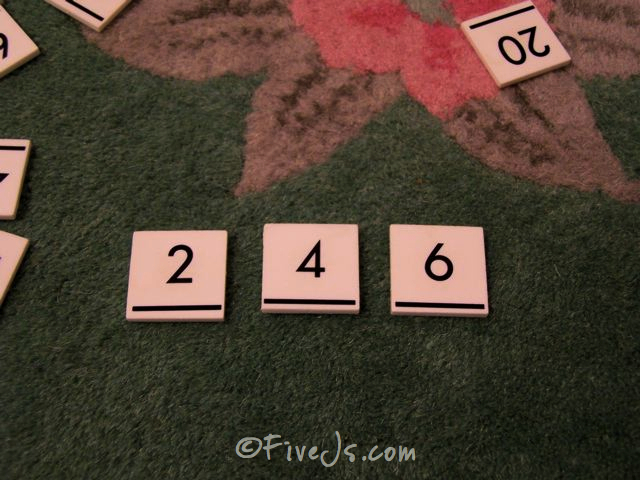 I really like our tiles since they're so durable, but you could do the same activities using cut up index cards with the numbers written on them. There are several number tiles sets on Amazon as well. We've used these tiles for reinforcing a wide variety of basic mathematical concepts, and when we work with them, Joely doesn't even think of it as work; to her it's just a game (that happens to be a math lesson)! Here are some of the ways we use the tiles. For many of the activities, Joely and I take turns: I choose the tiles and she solves it, and then she chooses the tiles for me to solve. She really gets a kick out of being "the teacher." 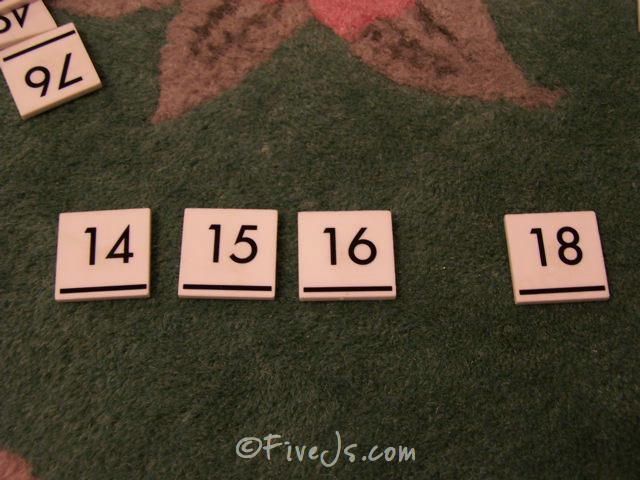 Separate the numbers 1-10, drop the stack of tiles in front of her, then have her put the numbers in order. I expanded the stack of tiles to include the 10's, 20's, etc., as she learned them. Lay out a row of consecutive tiles, but remove one or two of the tiles, then have her tell me the numbers that are missing. Sometimes I leave a space where the number is missing, but sometimes I don't. Start a pattern with the tiles, and have her figure out what comes next. Sometimes I have her just say the answers, and other times I give her a stack of tiles from which to choose the answer. Randomly choose two tiles from the stack and she determines which number is larger/smaller. At first I had her just point to the larger or smaller number, but then I added the "greater than/less than" sign, and she simply turned the sign accordingly. Give her three or more random tiles, and she puts them in order from least to greatest. Give her are large stack of tiles and she separates the tiles into decades (all the 20's together, all the 50's together, etc.) Once they're in decades, she can put them completely in number order. 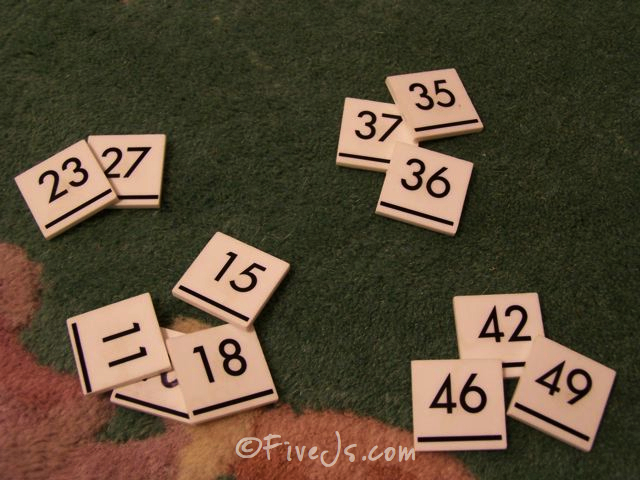 Of course, there are many other activities or math games that can be played using these tiles since they're so versatile, but these few that I've mentioned are the activities that work for Joely and me right now. If you can think of any other activities that can be done with the tiles, please leave a comment and tell me about them! But lastly, if you already have a nice set of tiles, I'd like to stress that it is extremely important that you never allow your children to just "play" with the tiles, even if they promise you that they'll be careful with them. Because they'll invariably lose some of them. 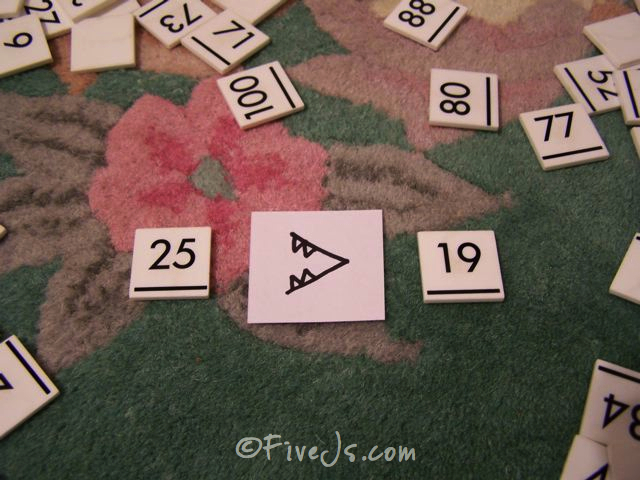 You may also like these activities for using letter tiles to teach ABC order without worksheets. I havent seen these before! Where did you find them? Hi! I was wondering if you could tell me where you bought the number tiles? 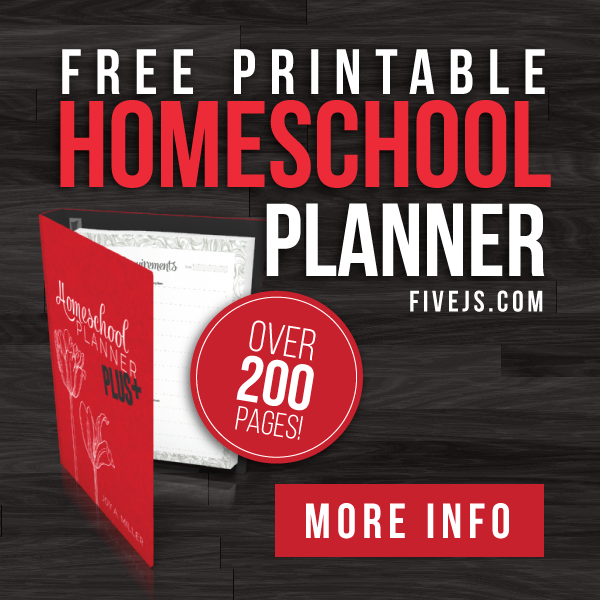 We also homeschool and a couple of my daughters are definitely visual learners and would love the activities you described. Thanks for your help!!! Great tip! 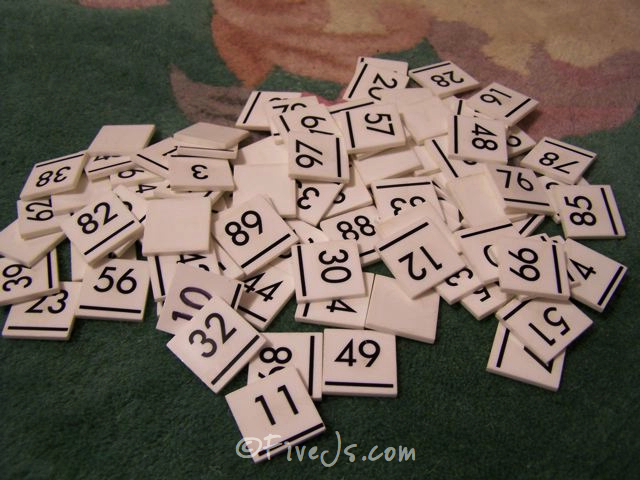 I'm definitely going to be picking up number tiles when they start showing up in stores again…. 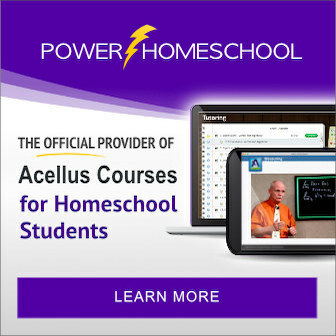 I don't homeschool but anything to help my kids. These are great, i will have to check out our local school store. I was just telling my daughter this morning about the eating the bigger number to remember which way it goes, lol. We do Chicago math in our school system & it is goofy as can be. I can see these numbers helping me teach my kids without them even realizing how much they are learning. Thanks! Fabulous idea! 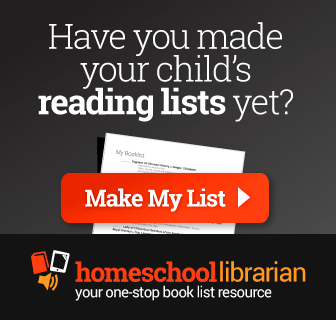 Sometimes I don't wonder at all why my kids have trouble at school—it's boring! I have hand-numbered countlesslittle squares of paper and even paintchips to make this kind of work interesting, but this ides is great. If the local teachers' store doesn't have it, I'll headf to Home Depot and buy tiles and a ceramic marker. Thank for a $100 idea foir this weekend! 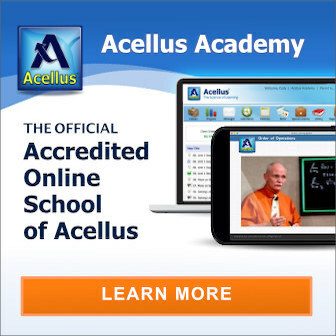 They also sell them at Singapore Math. They are a little cheaper but they do not have the guidelines at the bottom. I would personally pay more for the guidelines as we use letter tiles that are the same with the guidelines at the bottom also. I am so all about hands-on math! We need some of those number tiles! .-= Jimmie´s last blog ..Sale at Knowledge Box Central =-. Make your own tiles using the foam sheets at the craft store. Cut them any size you want with scissors or a paper cutter. 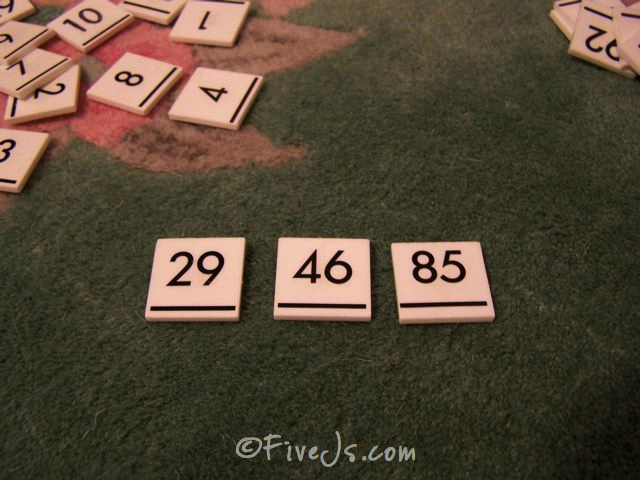 Use a permanent marker to make your numbers and you have a very inexpensive set of tiles. 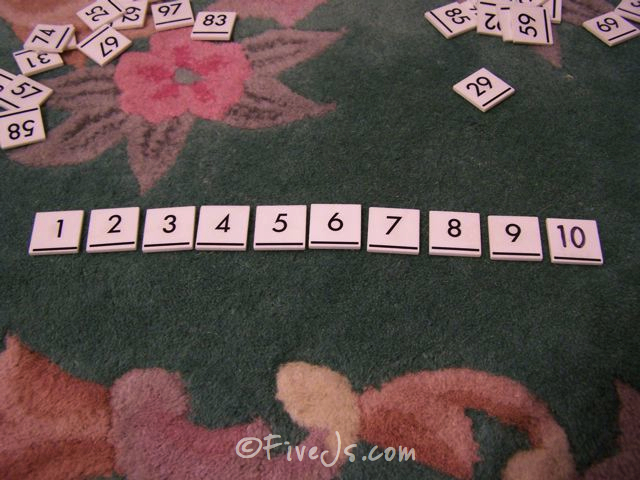 You could even use a different color for patterns you are teaching, like the 5's and 10's, odd and even, and multiples.